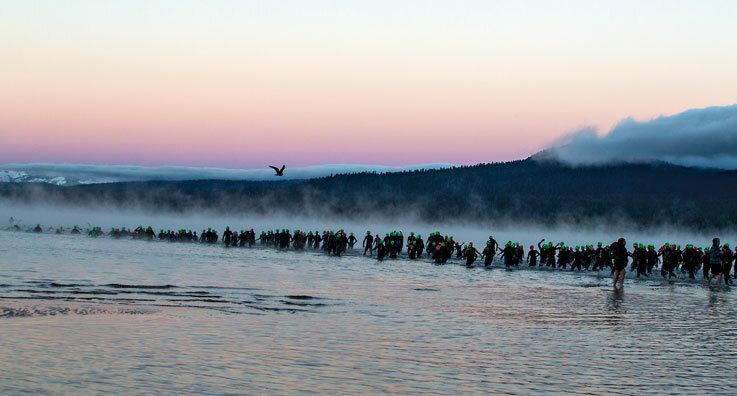 Swimmers enter the water during Tahoe’s IRONMAN last September. Photo by Ryan Salm. Steam rose from The Lake as thousands of athletes tried to keep warm in their wetsuits and swim caps. At 6:30 a.m. Sunday, September 22, the gun went off for the start of the inaugural Lake Tahoe IRONMAN, and athletes plunged into the frigid waters of the Big Blue. IRONMAN was created in 1977 when John Collins, a U.S. Naval Officer stationed in Oahu, Hawaii, suggested combining the three hardest races on the island. In 1978, Collins, along with 15 other racers, swam 2.4 miles, biked 112 miles (shaving off 3 miles from the original bike race) and ran 26.2 miles. Today, athletes compete in those same distances under a 17-hour time limit. There are more than 12 dozen annual IRONMAN races with the IRONMAN World Championships held yearly in Kailua-Kona, Hawaii. The Lake Tahoe IRONMAN drew nearly 2,700 competitors from 30 nations and 48 states; more than 3,000 volunteers offered support along the 140.6-mile race. Racers began in King’s Beach, with 2 hours and 20 minutes to complete the 2.4 mile, two-loop swim. Athletes transitioned to the bike course, where they pedaled from Kings Beach through Tahoe City, northbound on Highway 89, through Truckee and southbound on Highway 267. On the third loop of the bike course, riders turned up Squaw Valley Road to end at the Village at Squaw; they had until 5:30 p.m. to finish the bike course. 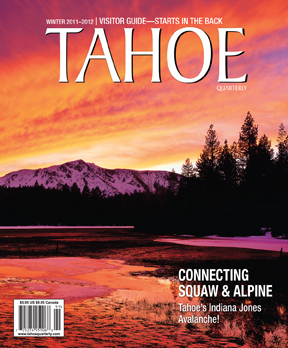 Finally, competitors had to run to Tahoe City and back twice before crossing the finish line in the Village at Squaw. Of the 2,700 competitors, about 1,800 finished. This sentiment is especially true for Reno’s Jeff Dowling, 60, who finished his first IRONMAN with eight minutes to spare. Like all racers, his story didn’t begin at the start line. Dowling raced triathlons for 11 years before deciding to compete in his first IRONMAN. “I’ve done half IRONMANs. I was going to wait until I was 65,” Dowling says. However, after seeing his wife race the year before, he could not wait that long. When that fails, Young begins training athletes not only physically but mentally. His clients do lower-intensity, longer workouts. “It’s not unusual to do a 70-mile bike followed by an 8-mile run,” says Dowling. 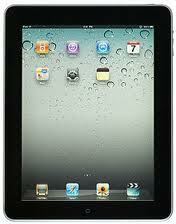 However, physical strength is not the only thing racers focus on during training. Locally, athletes ran into a huge obstacle while training: smoke. August’s Rim Fire in Yosemite forced many competitors to avoid outdoor exercise for several weeks. “Everything didn’t go quite as planned with the smoke,” says Dowling. Despite setbacks, Dowling was ready come race day. With the temperatures outside close to freezing and The Lake at nearly 60 degrees, racers welcomed submerging into the water. However, finishing the swim, racers ran into their first obstacle: the transition tent. Racers also battled cold temperatures on their bike ride. “With the air temperatures being colder than ideal racing conditions, athletes needed to plan accordingly, take more time in the transition and make sure they were wearing proper clothing,” says McDonigal. Racers pushed through setbacks and crossed the finish line at Squaw. Professional triathlete Chris McDonald of Australia took his second IRONMAN title in less than a month with the time 8:55:14. Germany’s Maik Twelsiek came in two minutes later in second place. For the women, Ava Lundstrom from Sweden took first with a time of 9:58:53. Jeanne Collonge of France followed 50 seconds behind in second place. Racers faced an emotional finish. Announcers named each finisher individually, informing them they were an IRONMAN. Relief and tears could be seen on many of the racers’ faces. 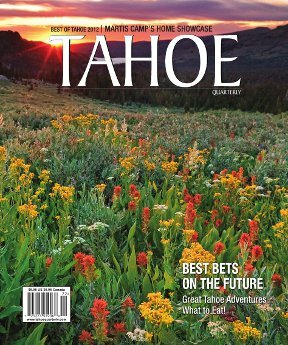 IRONMAN Lake Tahoe brought many benefits to the community. “As a business person in town, it’s one of the greatest events I’ve ever seen,” says Lindsay, who says two-thirds of his sales this summer were from IRONMAN athletes. The race brought in roughly $15 million in revenue from athletes, volunteers, spectators and IRONMAN staff, McDonigal says. Local charities received $50,000 from the IRONMAN Foundation along with $16,000 donated to the League to Save Lake Tahoe. 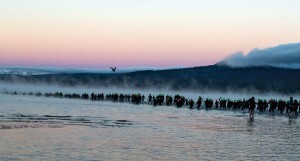 IRONMAN has signed a five-year contract with Lake Tahoe. Next year’s race has been locked down for September 21, 2014. “The overall success of the event makes us initially believe that there will not be any major changes,” says McDonigal.